Most smart home products sound great on paper but fail to deliver in real-life, which is what makes the original Ring Video Doorbell such a successful outlier. 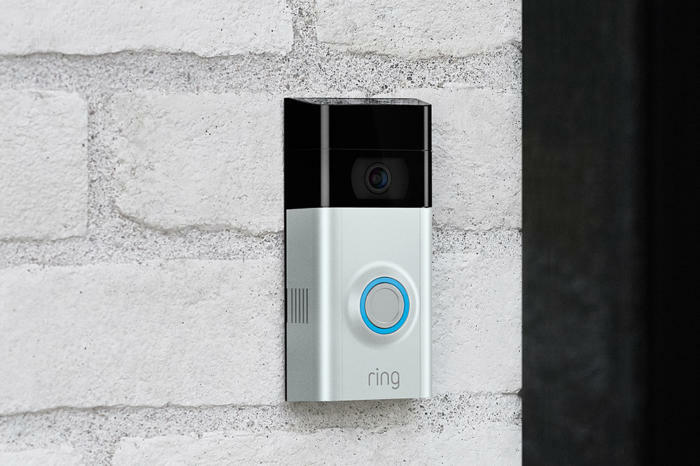 Ring just announced the Ring Video Doorbell 2—available at Amazon and Best Buy for $199—and while its upgrades are modest, everything about the new model suggest it’s worth a $20 price hike relative to the original doorbell. The basic Ring Video Doorbell concept remains the same: You hardwire the doorbell to your existing electricity feed, or opt to run the unit on internal battery power. After a relatively easy install, the doorbell serves as a two-way communication device between you and whoever steps up to the door. If someone rings the doorbell, you can see his or her face via a video feed on Ring’s mobile app. From there, you can initiate a conversation with the visitor. While audio is two-way, video is not, so visitors won’t be able to know your actual location. The upshot is whether you’re at home or 1,000 miles away, you can say, “Sorry, I can’t come to the door right now,” and would-be crooks casing houses will have no idea you’re vacationing in Cancun. The Ring Video Doorbells also have a heat-activated motion-detection feature that captures video whenever someone even approaches your door. This is useful to see who’s lurking on your doorstep even if that person doesn’t ring the bell. 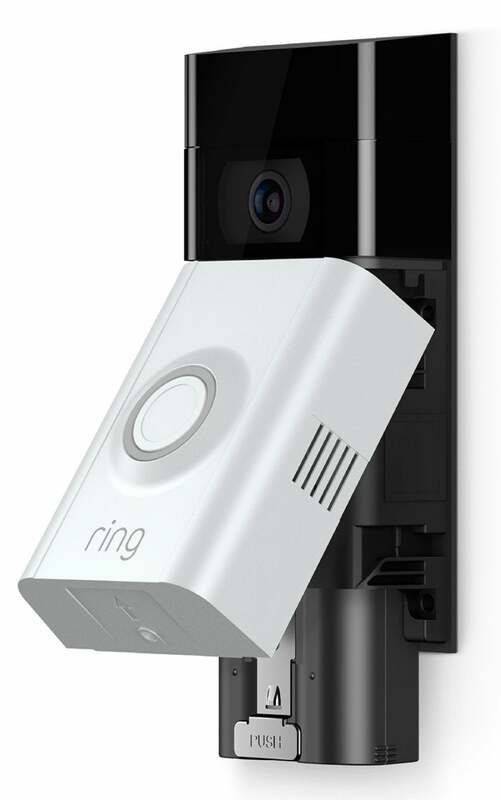 Ring Video Doorbell 2 includes a removable battery, saving you the trouble of taking the entire doorbell inside to re-charge. Video resolution has been upgraded from 720P to 1080P. The sharper resolution probably won’t make any difference when you’re viewing visitors in real-time, but it could be useful if you’re trying to get a clear image of the face tattoo on a package thief who approached your doorway then scrambled away. Ring has also made the doorbell’s internal battery removable. With the original model, you have to unscrew the entire doorbell from its backplate, then take the unit inside to recharge over USB. But with Ring Video Doorbell 2, you can simply remove the battery itself, leaving the doorbell installed. It’s a small extra convenience, but, hey... progress! 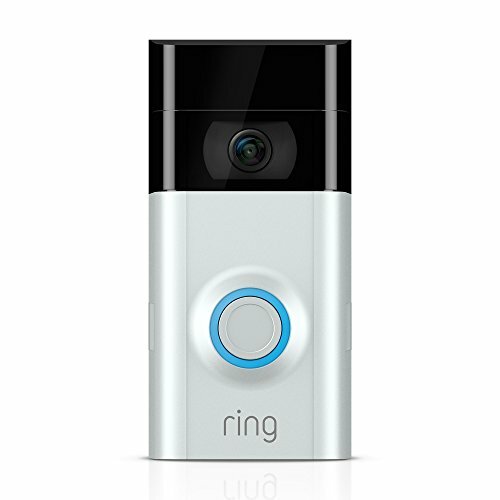 As noted above, at $199 the Ring Video Doorbell 2 costs only $20 more than the original, which remains for sale. But please note that you will need a Video Recording Plan in order to access saved videos. For a single Ring device, that costs $30 per year, or $3 a month.